Discover the real hostel experience and visit our hostel accommodation in Austria, meet our friendly staff who can help you find the best things to do and see. HI Hostels are great places to meet fellow travellers from destinations worldwide. Visit Austria for unforgettable experiences in unforgettable places. Austria is immensely diverse and the culture is rich in variety, with vast spaces of unrestricted nature alongside pulsating cities, historic villages and splendid cultivated landscapes. Dotted around the countryside are historic fortresses, castles and monasteries. The legendary Austrian easy living says it all: pure, laid back enjoyment coupled to a let’s-see-where-it-takes-us approach, obtainable at inns, wine picnic bars and archaic mountain huts everywhere you go. There is no age limit – all age groups are welcome! 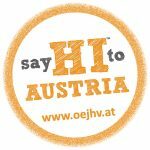 In Austria there are 60 youth hostels or partner hostels where you can get tips for activities in the region - explore Austria with us!